Are you responsible for helping people work through conflict? Do you manage important conversations between clients, employees, team members, volunteers or other people? Do you want to improve your ability to facilitate conversations of consequence? Do you want to learn to mediate or enhance your conflict resolution skills? This training is appropriate for mediators, lawyers, collaborative professionals, business consultants, executive coaches, managers and supervisors, human resources professionals, ombuds-people, non-profit staff, and other people whose work will be enhanced by increased skills in conflict resolution. This hands-on training features briefings on the core skills of the Understanding Based Approach, followed by lively demonstrations and role-plays, all of which immerse participants in the learning. 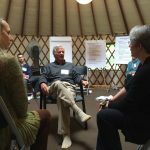 Realistic simulations, in which participants work through mediations from beginning to end, with coaching from our teachers, offer participants the chance to hone their skills and experience the emotional challenges faced by parties in dispute. Participants describe these different modes of learning and their interplay as enjoyable as they are engaging and rewarding. Catherine Conner and Gary Friedman. For more information, see their bios here. What are the Logistics – When, Where, Cost? Registration is between 1:45 and 2:15 on Wednesday November 13, 2019. The training begins on the afternoon of Wednesday November 13 at 2:30 pm through 9:00 pm. On Thursday and Friday, the sessions run from 9am – 9 pm (with ample breaks for meals and rest). On Saturday, the session runs 9am – 6pm. The program ends on Sunday November 17 with a session from 9am – 12:15pm. 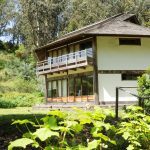 The training will be held at Green Gulch Farm, a Zen Center and working farm in Muir Beach, CA. The accommodations at Green Gulch are very unique and set in a beautiful, rustic location. Most participants stay in the Japanese-inspired Guest House. The gardens are lovely and the delicious vegetarian fare is served in a country style in a health conscious atmosphere. Three delicious vegetarian meals a day are provided, as well as all-day coffee, tea, and snack service. There is wireless internet available, but most cell phones do not have reception in Green Gulch proper. Guests have access to an office phone for emergencies. Participants should plan ahead for contact through the internet rather than by phone. A 5-10% discount is available for our CUC Connect members. Click here for more information. Please note our cancellation policy: If you cancel 2 weeks or more prior to the program, your deposit will be returned minus a $250.00 administration fee. Less than 2 weeks (but more than one week) prior to the program, we will retain 50% of the total cost of the program (half of which may be applied to against a future program). Please note that refunds are not made for cancellations within the last week prior to the program unless there is a replacement for your seat. Is there Continuing Education Credit? Mental Health: The Center for Understanding in Conflict is approved by the California Psychological Association to provide continuing professional education for psychologists. The Center for Understanding in Conflict maintains responsibility for this program and its content. 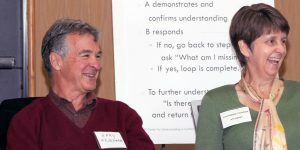 BBS licensees may also receive credit from The Center for Understanding in Conflict as a provider approved by the California Psychological Association. This course qualifies for 32 CE credits. Legal: The Center for Understanding in Conflict is an accredited provider of California Continuing Legal Education. The Working Creatively with Conflict Training —appropriate for both newly admitted and experienced attorneys — will qualify for 32 participatory and 8 self study CA MCLE credit hours.